Scoring goals has become the most difficult task in the sport of soccer. To generate a successful team attack requires that players be able to work in combination with teammates to maintain possession of the ball, penetrate opposing defenses, create scoring opportunities, and ultimately finish those opportunities. 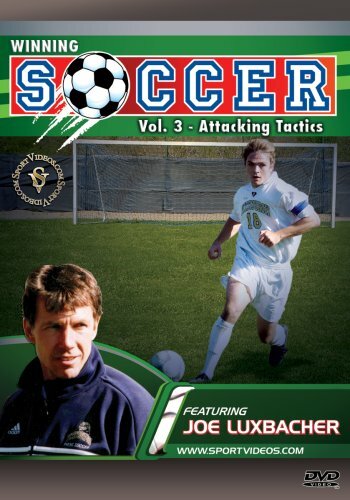 This comprehensive program illustrates the fundamental principles of individual and group attack tactics, and provides coaches and players with a progression of game simulated exercises guaranteed to improve team attack and result in more goals scored.This DVD is an essential training resource for coaches and players at any competitive level!